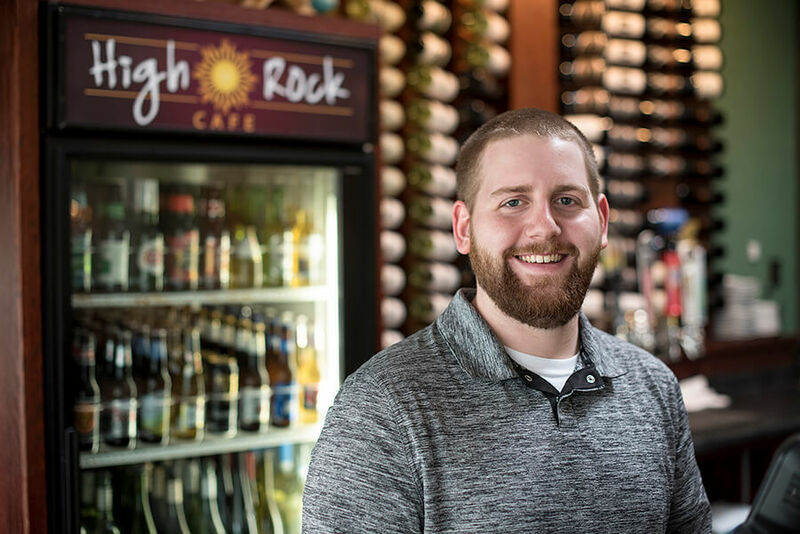 High Rock welcomes our newest employee and fresh food fanatic, Joshua Thalacker. Josh has been hired on as the restaurant manager after he recently graduated from University of Wisconsin Whitewater with a degree in General Management and all the necessary skills to make him a tasty fit for the job ahead. This opportunity really is served up close to home because Josh graduated in 2011 from Wisconsin Dells High School and would tell you he’s “been eating this fantastic food for years.” Josh is a family man and loves to take his unbelievably adorable daughter named Nora to the Deer Park on his days off with his fiancé Stevi Sorenson. Saying we are excited does not come close to how thrilled we are to see all of Josh’s ideas unfold within the walls and beyond of High Rock Café. Josh Thalacker comes with a distinct passion for the type of work he is doing and strives to work toward an atmosphere that allows for more stories to be told, vital memories for customers to make, and for people to be raving about more than just what happens in our kitchen for years to come. “I feel super excited and blessed to have an opportunity to work for one of my favorite restaurants in town,” he says with a huge smile on his face. When asked what his favorite High Rock delicacy was he boasted about our favorite Rio Grande Wrap and to top that he always makes sure to ask for a side of the garlic tator tots.